Mums-to-be are to be offered a vaccine to protect their new-born babies from whooping cough. 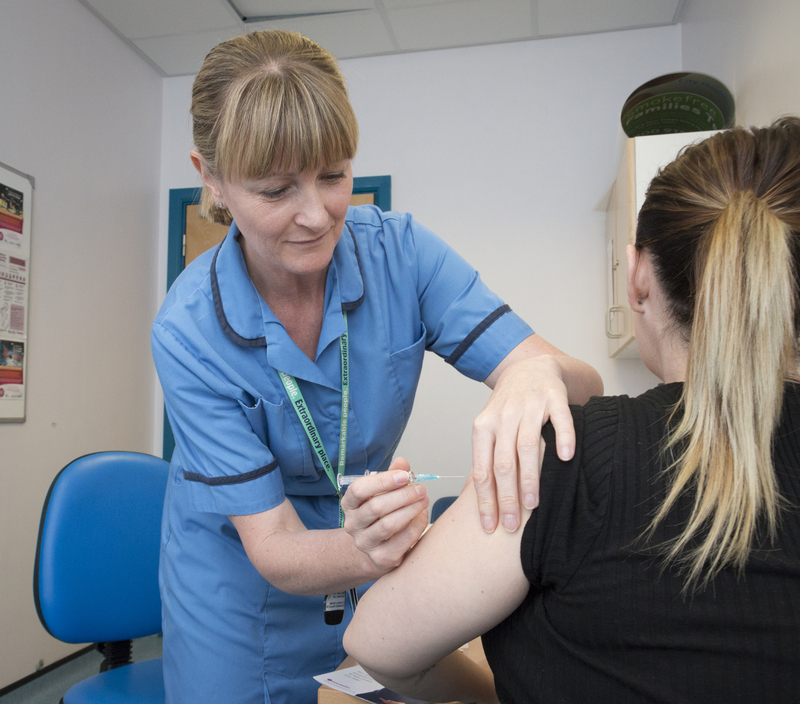 Hull University Teaching Hospitals NHS Trust is to become one of the first hospital trusts in the country to offer women the vaccine in a hospital setting. Having the vaccine means babies will receive vital immunity from their mothers to protect them from the serious infection until they are old enough to receive the routine vaccination at eight weeks old. Healthy lifestyles midwife Caroline Clark is one of 10 midwives trained to administer the injection from this week when women come to Hull Women and Children’s Hospital after their 20-week scan. She said: “Women who have the vaccine are protecting their babies from what can be a very serious condition with major complications. Whooping cough has claimed the lives of babies in the past and vaccination is essential protection for those first few weeks. Whooping cough, also known as pertussis, is a highly contagious bacterial infection affecting the lungs and airways. It can be life-threatening in young babies, with those under six months at particular risk of complications and usually requiring hospital admission if they contract the infection. During coughing fits, some babies can gasp for breath, causing the whooping sound that gives the condition its name. They can also turn blue, known as cyanosis. The trust is providing the whooping cough vaccine as part of a programme introduced by the Department of Health following a national outbreak in 2012. Its midwives were among the first in England to be trained to administer the flu vaccine at the end of last year and their training has now been extended to cover whooping cough. Other countries including the US, Argentina, Belgium, Spain, Australia and New Zealand also offer the vaccine to pregnant women. Around 18,000 women who received the vaccine have been studied by the Medicines and Healthcare products Regulatory Agency (MHRA) and no evidence was found of any risk to the pregnancy or the baby. Numbers of confirmed cases have plummeted since the vaccine for pregnant women was introduced in October 2012. Between July and September last year, there were 1,322 confirmed cases in England compared to 3,519 in 2012. In 2012, 147 babies under the age of three months caught whooping cough but it fell to 39 cases between July and September 2017. Of the 18 babies dying of whooping cough since the introduction of the vaccine for pregnancy women in 2012, 16 were born to mothers who had not been vaccinated against the condition. Between April and June last year, more than 72 per cent of eligible women received the whooping cough vaccine. No babies died of pertussis between January and September 2017. Caroline Clark said the team will be based in the antenatal clinic and the vaccine will be offered to women when they come to hospital for antenatal appointments, blood tests or to see consultants. Plans are for the vaccination programme to be extended to women attending the antenatal day unit. Caroline said the injection in the woman’s arm can be administered from 16 weeks up until the end of the pregnancy. “We can give it to women right up until delivery but it may be less effective after 38 weeks,” she said. “It is far better for women to have it between 16-32 weeks so their baby gets maximum protection and in case they go into labour early.